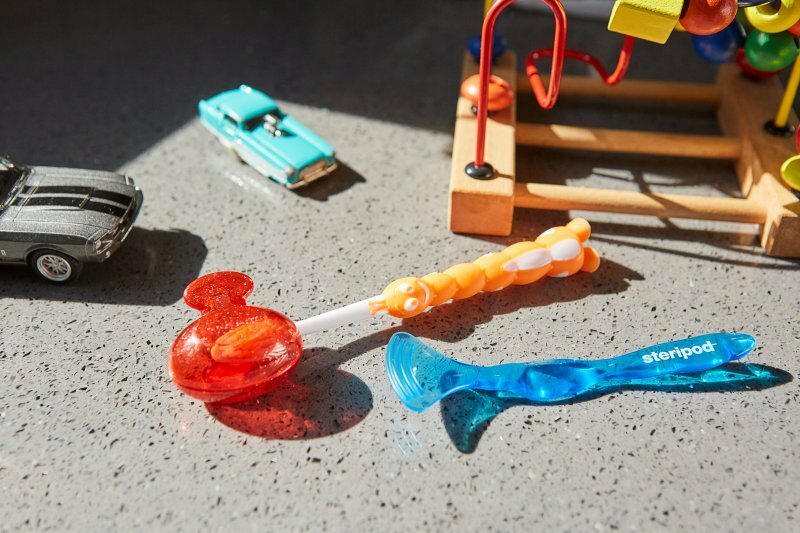 In honor of National Children’s Dental Health Month this February, Steripod®–the nation’s leading toothbrush protector–has partnered with pediatric dentist and mom Dr. Danielle Gilbert-Fowler, D.M.D. of Palmtree Pediatric Dentistry to share healthy smile hygiene tips for the whole family. “Families today are always on-the-go, whether it be school, a sleepover or camping trip, you want to take your toothbrush, but you want to keep it clean. Steripod is a great way to do that at home and on-the-go,” said Dr. Dani. Brush up on oral hygiene with this helpful checklist from Dr. Dani, who shares more expert advice on Steripod’s YouTube channel. “Only use a soft bristle toothbrush: While it’s important to remove the plaque that adheres to your tooth structure and gumline, you don’t want to scratch your enamel in the process. It’s recommended that until the age of 7-8 years old, the parent participate in the child’s brushing until the fine motor skills needed to do a good job brushing are developed. Even when a child is old enough to do a good job, it doesn’t mean they will! Hence, even with an older child, it’s important to be aware of how they’re doing with their oral hygiene. We always worry about kids getting sick-especially during flu season. One way Steripod helps is by decreasing cross contamination amongst family members who also use an individual tube of toothpaste. To celebrate #NCDHM, shoppers will receive 15 percent off Steripod Toothbrush Protectors and Tongue Cleaners. Valid now through March 1, 2018, special offer discounts will be automatically applied when clicking this link.